The Monsoon Session, 2016 of Parliament which commenced on Monday, the 18th July, 2016 concluded on Friday, the 12th August, 2016. The Session provided 20 sittings spread over a period of 26 days. The Constitution (One Hundred and Twenty Second Amendment) Bill, 2016, a historic legislation providing for enabling provision in the Constitution for levying goods and services tax on every transaction of supply of goods and services, was passed by Parliament. The Goods and Services tax shall replace a number of indirect taxes being levied by the Union and the State Governments and is intended to remove cascading effect of taxes and provide for a common national market for goods and services. During the Session, Supplementary Demands for Grants (General) for 2016 – 17 and the related Appropriation Bill, was discussed and passed by the Lok Sabha. In the Lok Sabha, 4 Short Duration Discussions under Rule 193 were held on (i) Situation arising out of recent violence in Kashmir Valley resulting in threat to peace and security of people of the State; (ii) Price Rise; (iii) Sustainable Development Goals (part discussed); and (iv) Atrocities against Dalits in the country. In the Rajya Sabha, six Short Duration Discussions under Rule 176 were held on (i) Recent incidents of violence and turmoil in Kashmir Valley resulting in huge loss of lives and property; (ii) Recent incidents of atrocities on Dalits in various parts of the country; and (iii) Situation arising out of price rise in the country; (iv) Status of implementation of the Andhra Pradesh Reorganization Act, 2014 with regard to the State of Andhra Pradesh; (v) Developments in the States of Uttarakhand and Arunachal Pradesh leading to change in the Governments there and the role of Governors in the respective States; and (vi) draft National Education Policy – 2016. A discussion was also held on prevailing situation in Kashmir Valley. Besides, 2 Calling Attentions in Lok Sabha and 5 Calling Attentions in Rajya Sabha were discussed. The drugs and Cosmetics (Amendment) Bill, 2013 was withdrawn in Rajya Sabha. During the Session, 15 Bills (14 in the Lok Sabha and 1 in the Rajya Sabha) were introduced. 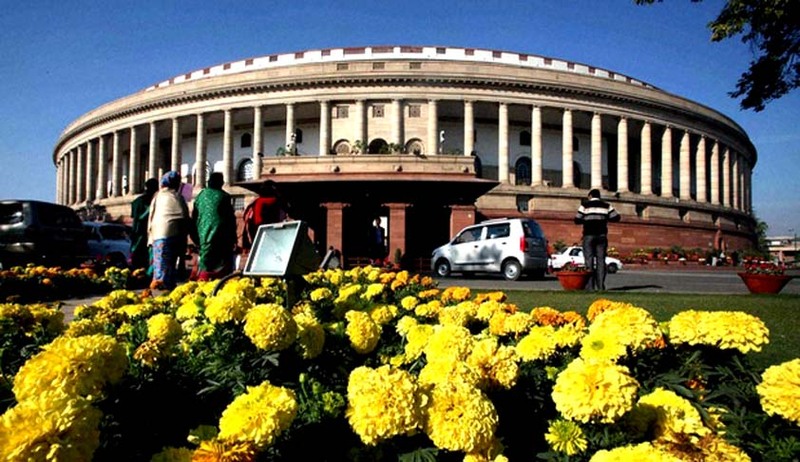 The Lok Sabha passed 15 Bills and the Rajya Sabha passed 14 Bills during the session. 15* Bills were passed by both the Houses of Parliament. A list containing the titles of the Bills introduced, considered and passed during the Session is annexed. The productivity of Lok Sabha was 110.84% and that of Rajya Sabha was 99.54%. #The Bills, as passed by Lok Sabha and transmitted to Rajya Sabha for its recommendation, is not likely to be returned to Lok Sabha within the period of fourteen days from the date of its receipt in Rajya Sabha. The Bill will be deemed to have been passed by both Houses at the expiration of the said period in the form in which it was passed by Lok Sabha under clauses (5) of Article 109 of the Constitution.